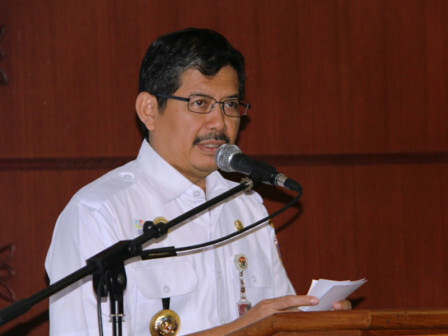 South Jakarta Mayor, Marullah Matali suggests Perumda Pasar Jaya to provide laboratory in each market to prevent merchant from selling food that contains of hazardous substances in the market. He assessed this laboratory is needed to monitor ingredients of food commodities before merchant sells it.
" If possible, I want Perumda Pasar Jaya to provide laboratory in each of its markets"
"If possible, I want Perumda Pasar Jaya to provide laboratory in each of its markets," he stated, Wednesday (1/30). According to him, special personnel from Maritime Agriculture and Food Security (KPKP) Sub-department and National Agency of Drug and Food Control (BPOM) are also needed besides the laboratory. "We will support Perumda by assigning KPKP Sub-department personnel and coordinating with BPOM to monitor food commodities loaded by merchants. Thus commodities in market are safe to be consumed by customers," he explained.